In your STEM journal, you will be writing down what? What are the four forces that affect flight? Where does the pressure come from when we are talking about air pressure? What did Bernoulli discover about about the speed of a fluid (in this case, air)? Explain why the paper Bernoulli is blowing across rises in the air. When air is going over/under the airfoil, which air is moving faster/slower and what kind of pressure is created? 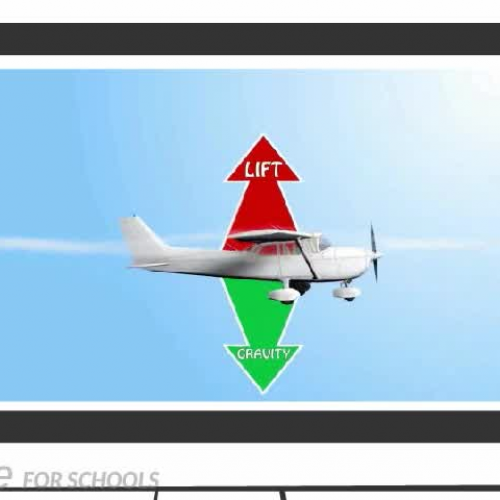 When the pressure below the wing is greater than the pressure above the wing, what happens to the wing (plane)? What is it called when the plane is pushed up due to the differences in pressure over and under the wing? What is the forward force of a plane called that seeks to offset gravity? Is the propeller an airfoil? Explain how. In Bernoulli's principle, what happens to the pressure of a liquid as its speed increases? What is air made up of? Increased speed equals a _________________ in pressure. What offsets drag and weight in an airplane? What are the four aerodynamic forces of flight?